Ever heard of this one? Probably not. It’s a college town filled with kids who attend Humboldt State University. 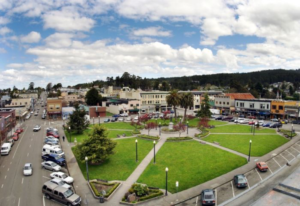 Arcata is filled with beautiful Redwood forests yet, it’s easily accessible to the beach. The residents are very respectful of the planet and work together to do their part to preserve and protect the planet. Recycling is very well practiced here and all HSU’s dormitories are solar-panel powered. If you have a green thumb, this tiny town is your ideal visit. This tiny historic town is best known for the “best water on Earth.” That sounds delightful, right? The water is sourced from a river that flows from Mt. Shasta with an elevation of 14, 179 feet. Natural water for our natural bodies. 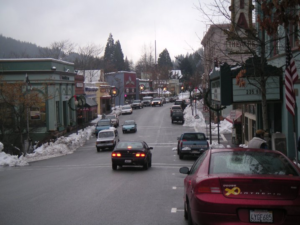 Dunsmuir also has no traffic lights and zero parking meters. Wait, so you mean we wouldn’t be scrambling through traffic to get to work? Or pay for parking to do things? No headaches? Sign us up! How early can we visit? 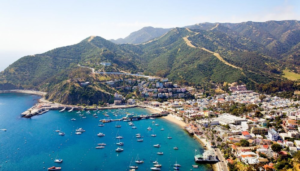 This town’s known for being part of an “Island Community,” because of its proximity to the ocean and its location on Catalina Island. Avalon is 76 square miles with 87% of that being an Open Space Conservancy. On Catalina Island, they offer several things to do like taking a glass bottom boat out to look at the fish or even land exhibitions. Relax on the beach or explore the gorgeous landscape. Surrounded with the ocean breezes, lush flowers and greenery, Avalon is sure to be a place for relaxation and living the island lifestyle. This is the perfect California city that’s the balance between the mountains and cool weather. Grover Beach offers a mild climate, meaning if you’re closer to the water it’s warmer and when you are away from the water or up towards the mountains then it’s cooler. 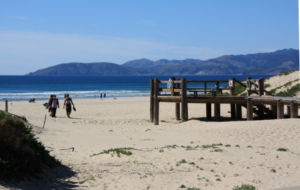 Grover Beach offers horseback rides on the beach, like a romance scene from your favorite Nicholas Sparks book, 4-wheel ATV’s to rent for the sand dunes, or even leisurely walks along the beaches and hikes through the mountains. Residents of Grover Beach love being outside, wrapped in their beautiful climate and if you visit there then so will you! This tiny town is on the outskirts of Sacramento, California. 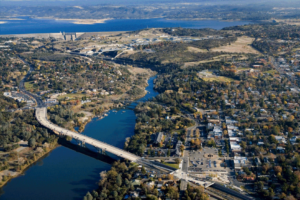 It ranges about 34 square miles and 2.4 square miles of this is consumed by Folsom Lake. Folsom started as a city of gold miners seeking money and fortune by mining in the Sierra Nevada. Since then the city has evolved to house 32 miles of bike trails and several other outdoor activities. The climate is beautiful here. It’s always receiving the golden California sunshine. If you aren’t feeling the outdoors, that’s ok. There’s the Folsom Prison Museum and they offer tours around the facilities. It’s not quite as famous as Alcatraz, but it’s the state’s second oldest prison. With over 137 years of history, the prison was the countries first prison to have electricity. But if prison doesn’t sound fun to you, then you can visit the Folsom Lake State Recreation Area. It’s a park with a decommissioned powerhouse located in it. But it’s a great place for camping, fishing, hiking, biking, and any other outdoor activity. These tiny towns might not be as glamorous as the bigger cities. But they are quant and peaceful. They’re filled with history, nature, and relaxation. A perfect getaway for a busy bee!